There are three new travel related cases today with one in Miami-Dade, one in Orange and one in Palm Beach. Please visit our website to see the full list of travel-related cases. There is one new non-travel related case today linked to the investigation in Little River. 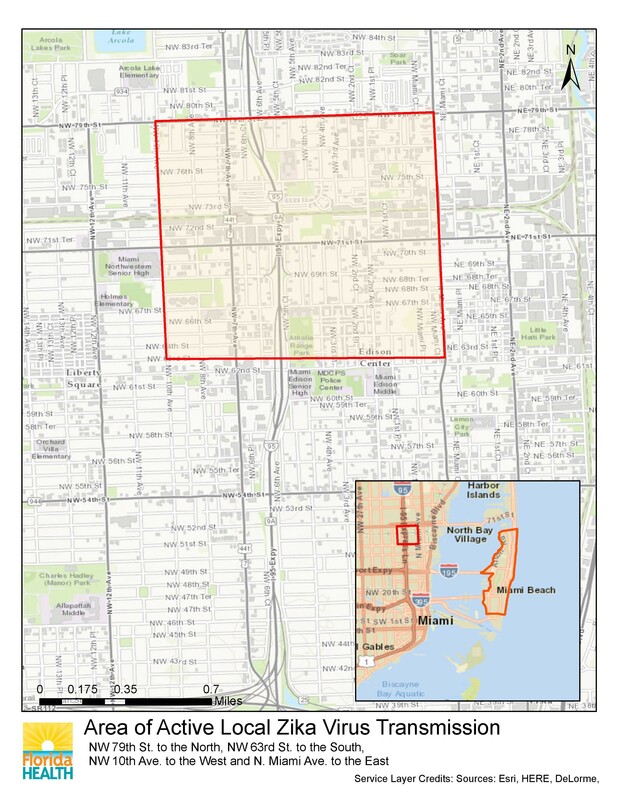 DOH continues door-to-door outreach and targeted testing in Miami-Dade County and mosquito abatement and reduction activities are also taking place around the locations that are being investigated. 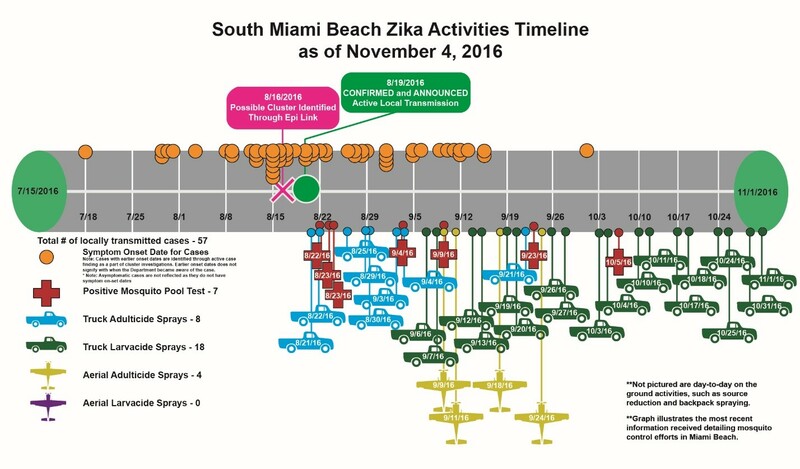 DOH believes ongoing transmission is only taking place within the identified areas in Miami-Dade County. The timelines below are as of Nov. 4 and will be updated every Friday. Note: Asymptomatic cases are not reflected as they do not have symptom on-set dates. The department is currently conducting 13 active investigations. The department has closed 34 investigations. Information regarding the investigations can be found here. If investigations reveal additional areas of active transmission, the department will announce a defined area of concern. The department has conducted Zika virus testing for more than 10,096 people statewide. 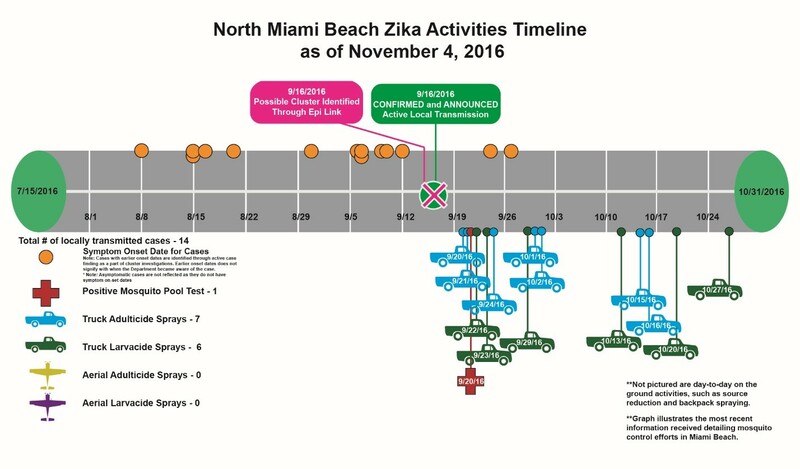 Florida currently has the capacity to test 7,296 people for active Zika virus and 5,916 for Zika antibodies. At Governor Scott’s direction, all county health departments offer free Zika risk assessment and testing to pregnant women. 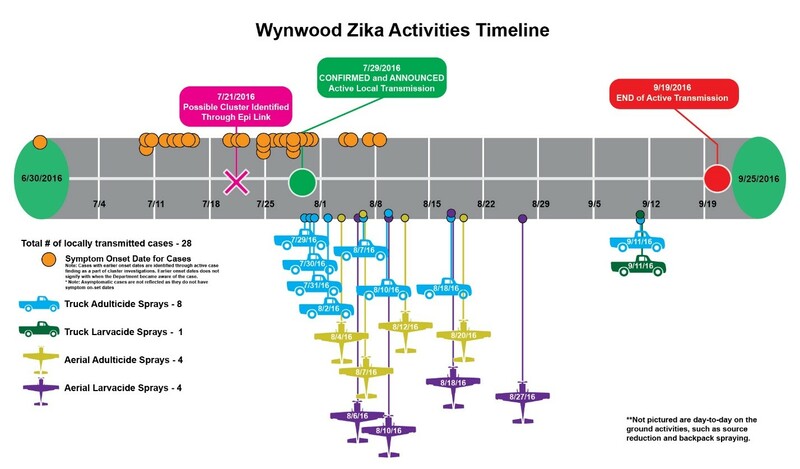 Florida’s small case clusters is not considered widespread transmission, however, pregnant women are advised to avoid non-essential travel to the impacted areas in Miami-Dade County (see maps below). If you are pregnant and must travel or if you live or work in the impacted area, protect yourself from mosquito bites by wearing insect repellent, long clothing and limiting your time outdoors. Florida has been monitoring pregnant women with evidence of Zika regardless of symptoms. The total number of pregnant women who have been or are being monitored is 135. 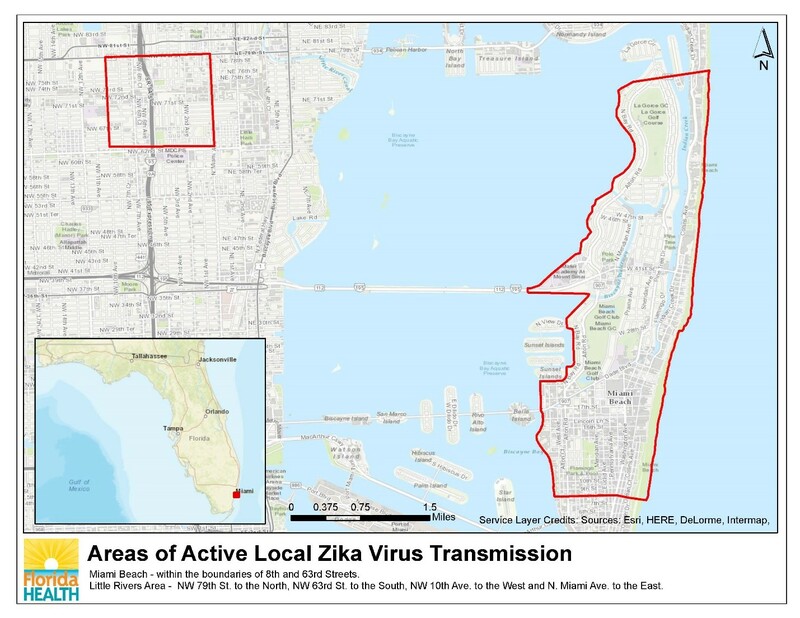 On Feb. 12, Governor Scott directed the State Surgeon General to activate a Zika Virus Information Hotline for current Florida residents and visitors, as well as anyone planning on traveling to Florida in the near future. The hotline, managed by the Department of Health, has assisted more than 7,178 callers since it launched. The number for the Zika Virus Information Hotline is 1-855-622-6735.